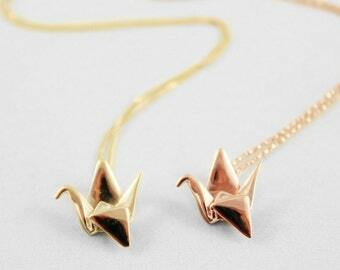 This elegant, brass origami crane charm allows you to carry your hopes and wishes with you everywhere you go. 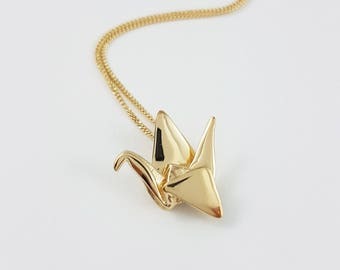 The origami hope crane necklace makes a great gift for that special friend who needs a little extra good luck and vibrations in their lives. Also makes a great first anniversary gift, the paper anniversary. 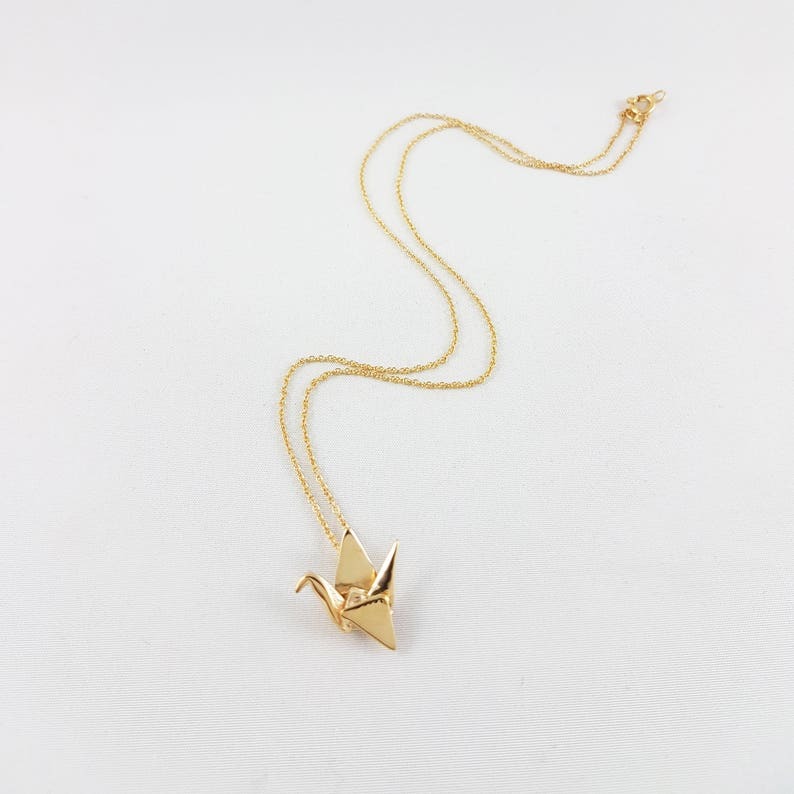 Each 3D printed brass origami crane pendant measures about 1.7 cm across and 1.9 cm in height (about the diameter of a dime) and is attached to a dainty gold-filled curb chain. 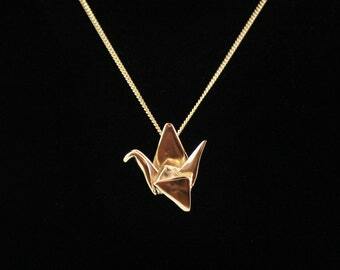 Brass hope origami crane necklace comes wrapped in a giftbox and accented with silk-screened japanese chiyogami paper or recycled book. It is ready to send to whomever you wish and we would be more than happy to include a little note from the heart if you choose to do so (leave your message in the comments section at check out). Trop petit, pas un oiseau complet, fausse publicité. Thanks for leaving a review on your order. 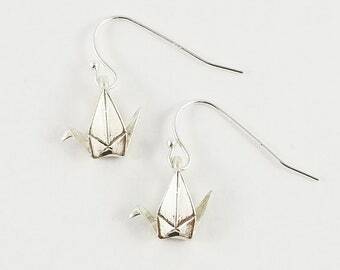 I always appreciate any feedback on purchases as it allows me to improve my product. I notice you left a 1 star review and I was curious as to what you meant. I don't understand what you mean by, "not a complete bird," "too small" and "False Advertising." 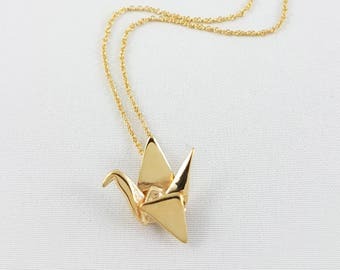 The necklace that I sent you is exactly as pictured and measurements are in the listing, including a photo next to a standard dime for size reference. Please let me know what you mean when you say false advertising. What was false about your purchase? 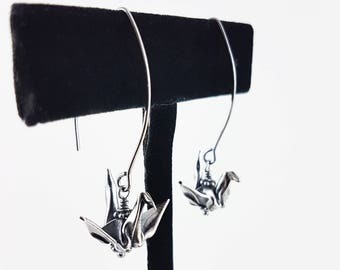 Probably the best experience I’ve had purchasing on Etsy, if not online generally 🧡 Have received wonderful support and prompt answers to all of my questions as well as assistance and close communication about stock and shipping to Ireland. 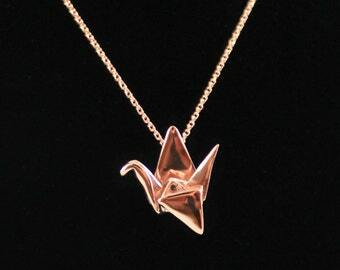 The product itself is so beautiful (rose gold crane necklace)and I’m really happy. 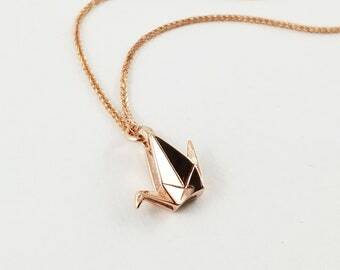 An exceptionally good customer journey and a very beautiful product. I cannot recommend highly enough! A wonderful business and a beautiful final product. 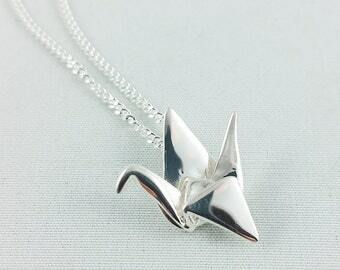 I’m really delighted, and wear this necklace daily. Thank you so much! 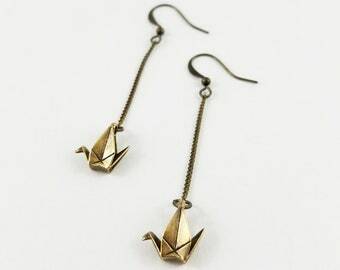 Beautiful and exactly what I was looking for!